Forget all the rosè you have tried so far, 'cos here we are talking about a completely different story! The manual harvesting is made using crates, when the grapes are fully ripe. With a gentle pressing, they obtain the must that is vinified "in white", with no contact with the skins, and fermented thanks to indigenous yeasts only. Chiaroscuro is then aged In third-passage tonneaux for 6 months. "The choice of white vinification of perfectly ripe grapes has certainly led to an important loss of color, but has avoided having too green and herbaceous scents. 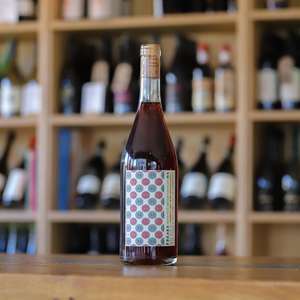 The result is a rosé with a pleasant freshness, but at the same time rich, both on the nose and in the mouth." TASTING NOTES: The nose expresses scents of red berry fruit. In the mouth, it has a nice, firm structure, with a pleasant acidity and minerality. An important rosé for great occasions.